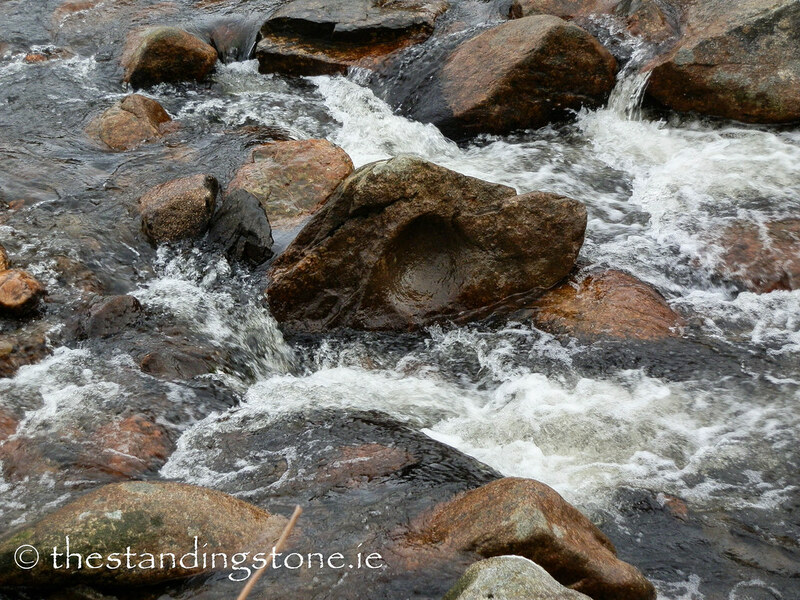 The Standing Stone: Glendalough H, Bullaun Stone, Glendasan River, Co. Wicklow. Glendalough H, Bullaun Stone, Glendasan River, Co. Wicklow. Location – This one sits right in the middle of the Glendasan river. Description and History – This stone looks small in the pictures but is quite large. It now sits on its side which makes it easier to spot in the river. 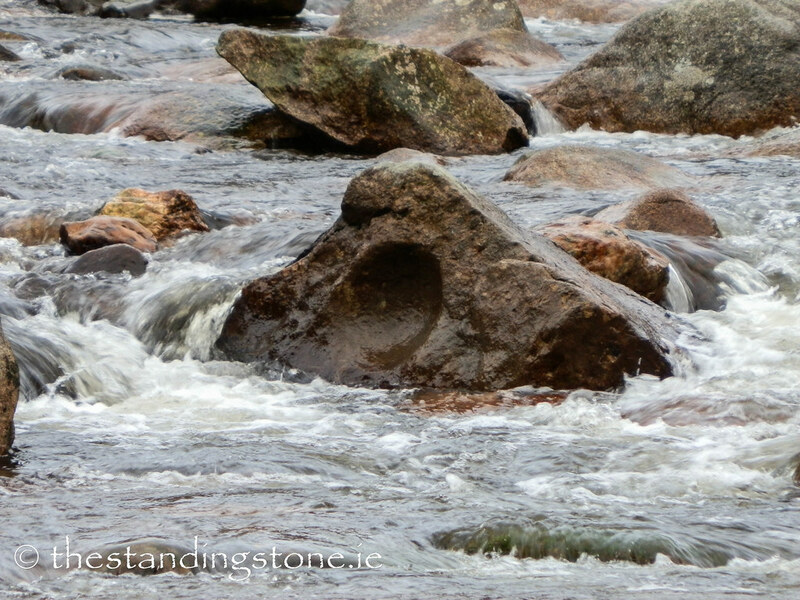 I think this is one of the more striking stones in Glendalough, probably because of its position in the river. Difficulty – Easy to spot, but I wouldn’t try to get to it.